Like the Fender guitar amps to which it pays homage, this speaker is firmly tethered to an AC outlet. I thought the Fender Newport Bluetooth speaker that I recently reviewed was a clever homage to guitar amps, but the company’s Monterey takes the guitar amp metaphor to the absolute max. With real hex bolts holding its back in place, solid analog controls, as well as genuine Tolex covering and a Fender ‘68 tweed grill, it could easily be mistaken for the real thing. Where the Newport is a punchy, portable, battery-powered speaker that can be used just about anywhere, the Monterey is more of a static conversation piece. It’s large, heavy, and has no battery, so you can’t really take it with you to the park. Okay, maybe an industrial park. And at $350, it’s not exactly an impulse buy. That said, it sounds good and it’s rugged, so I’m thinking workshops of the rich and famous. 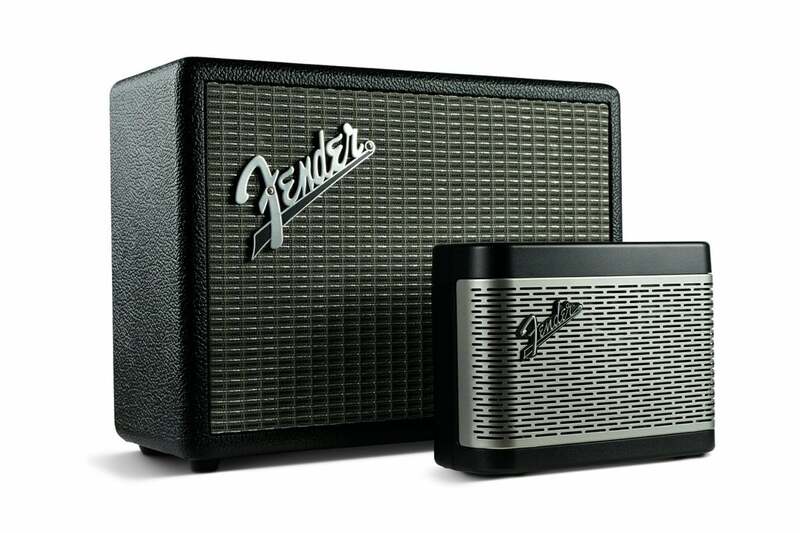 Kudos to Fender for making the Monterey, as I’ve already said, appear to be a real guitar amp. Then again, if anyone would be able to do that, it should be Fender (or perhaps Marshall). Covered in Tolex, the preferred vinyl-based textured covering for all guitar amps, and with a real tweed (‘68 Fender vintage) speaker covering, about the only thing missing is the high-impedance, 1/4-inch jack for a guitar cable. The old-school rotary volume, treble, and bass controls feel firmer and smoother than those I’ve had on many a real guitar amp. There’s even a high-quality toggle switch for power, and the beveled crystal power LED that shouts 60’s (guitar amps and Star Trek TOS). 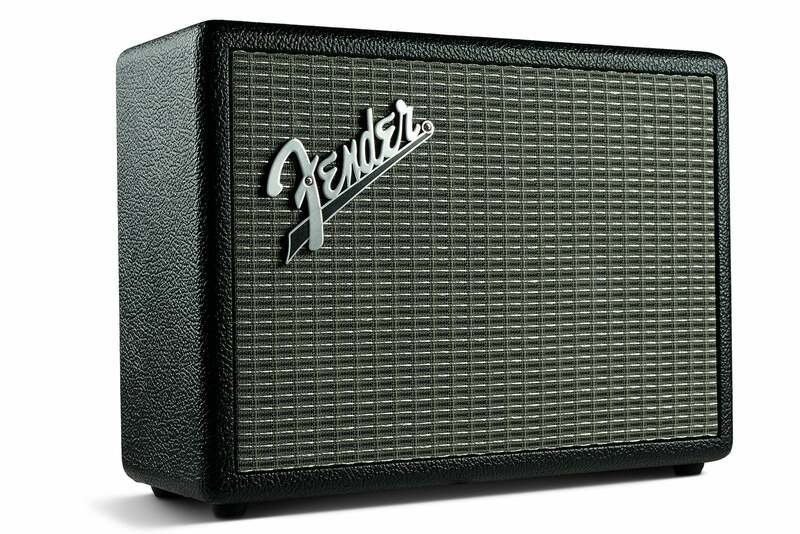 From this photo, you’d think this was a genuine Fender Guitar amp. It weighs almost as much, but the Monterey is simply a Bluetooth speaker. Other controls nod to the modern era: There’s a small dedicated Bluetooth pair button, and a similarly small button to switch input between Bluetooth, a 3.5mm aux jack on top, and stereo RCA stereo inputs on the back of the unit. The latter two are line-level, so no, you can’t really use the Monterey as a practice amp. The Monterey’s analog controls are top-notch; better than on some guitar amps. The Monterey is at best transportable, measuring 13.5-inches wide, 9.5-inches tall, and 5.25-inches deep and weighing a hefty 15 pounds. But it has no battery; in fact, it relies on a standard three-prong AC plug as you’ll find on real guitar amps. There are also no USB ports for charging other devices, and there’s no mic that would allow the Monterey to be used as a speakerphone. This is not the speaker to take on a picnic—unless you roll with a portable generator. The 120-watt Monterey is loud, clear, and thumpy, but while it may look like what it costs, its sound is not fantastic—and that’s an adjective I’m looking to employ when someone’s going to drop this much coin on a speaker. The primary reason is the lack of stereo separation, and yes, the Monterey is stereo. There are any number of tricks that can be used to increase perceived separation with a speaker this size, but the Monterey seemingly employs none of them. In fact, the separation was so indistinct that I actually inquired of Fender whether the Monterey was indeed stereo. 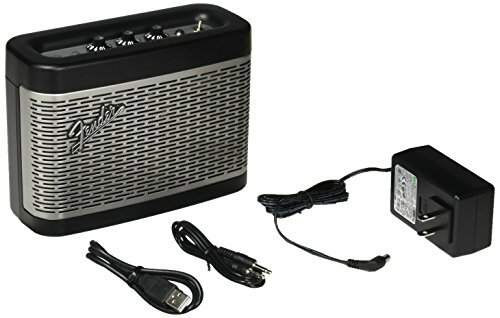 Fun fact: you can buy a real, 100-watt, dual 12-inch speaker Fender Champion guitar amp with RCA aux input from Amazon for the exact same $350. Despite being considerably larger, the Monterey offers little more stereo separation than the Newport, which is actually a monophonic speaker. The sound is also a bit more directional than the Newport—and a lot of other speakers. A quick look at the picture above should tell you at least part of the reason why. Not only are there no side ports or passive radiators, but the lip of the cabinet actually blocks some small amount of sound from dispersing to the sides. Homage may have overcome good sonic sense in this case. I’m being a bit rough on the Monterey—it’s a very good-sounding speaker, it simply doesn’t sound like a $350 speaker to me. Then again, the Ultimate Ears Megablast that I A/B’d against the Monterey during my listening tests doesn’t sound like a $300 speaker. Audio stuff on nearly every level is way overpriced in my opinion. All that said, as with anything audio, what sounds “good” is highly subjective. You might love the Monterey where I just liked it. The Fender Monterey delivers loud, thumpy, clear sound. I’ve said it three times now. Cool. But it’s also heavy, tied to AC, expensive, and it doesn’t handle phone calls. Not as cool. Still, the homage is spectacularly well done, so if the Monterey appeals to you or someone you know, it’s unlikely to leave you disappointed. Personally, if I'm depending on AC power, I’d opt for a quality receiver and bookshelf speakers. But I’m boring. And cheap. Ask any cousin of mine. Then again, if I didn’t have to send it back, I’d certainly keep it on my, yes, workbench. If I had a garage, it would go there. On a workbench. 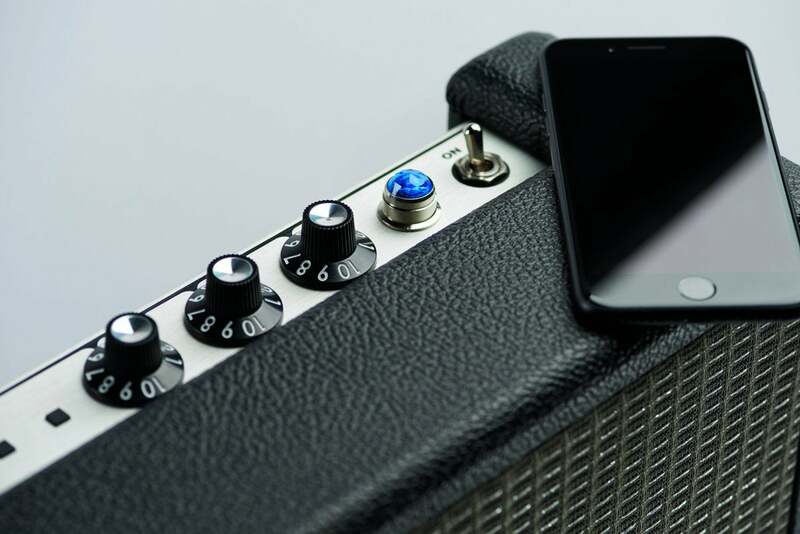 No doubt, those of a certain musical bent will love the accurate, retro guitar amp styling of this Bluetooth speaker. But as there's no battery, it's not a go-anywhere speaker. That said, it's rugged and no doubt will look great on the workbench or in the garage.